Windy and warm – when was the last time you grabbed your shell or gilet as you headed out the door? It’s been a while, hasn’t it? It’s been nice not having to carry extra clothes in the middle, back jersey pocket. Best to enjoy this while we can. Get out and ride. Well, Mark lit the touch-paper this morning at the turn for Galetta. There was no holding him back. And, even when Keith reeled him in, he was off again, like some older version of Jens Voight, laughing and singing as he rode off the front. And later, as we battled a fierce cross wind on Logger’s Way, he and Keith sang a duet. Joy spread across the road, as one by one we joined the chorus. It was just that much fun, You really should have been there! Just a heads-up to remind you to carry ID and your Health Card. You just never know: before the fall; down and out. A special hello to Neil who joined us this morning. Hope to see you again. 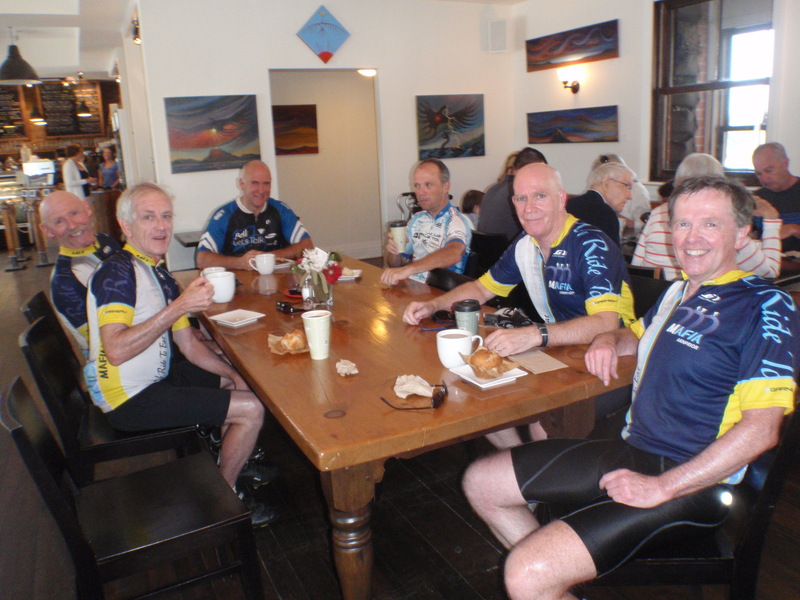 PS: We have tentative plans for a 120 Km ride (one-way) to Wilno for a smorgasbord on July19. Keith will be the Chef de Mission. And, yes, we will ride the infamous Foymont Hill. Gregg can’t wait. What do you think? Stay tuned.